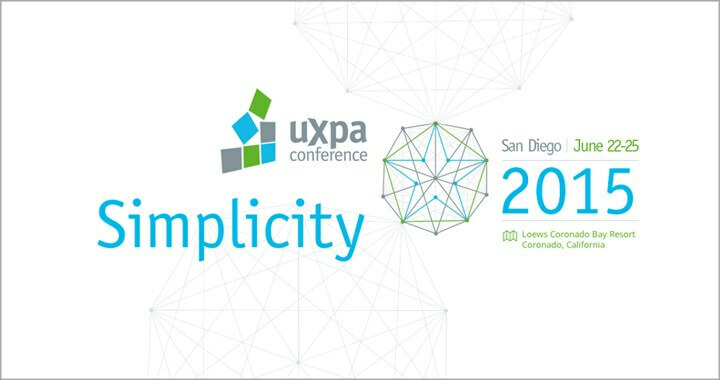 This year’s UXPA International conference is taking place near San Diego in the beautiful Loews Coronado Bay Resort in Coronado, CA from June 22 to June 25! It is a gorgeous resort with ocean views and the San Diego skyline. Because last year’s conference in London was amazing, this year we’re sponsoring the international UXPA conference once again and we couldn’t be more excited! This year’s program focuses on UX and Simplicity and it includes more than 50 sessions across the 5 UXPA’s topics: tools and techniques, design psychology, service design, career development and UX strategy. The 3-day event, features complete courses by UX experts as well as top keynote speakers from organizations such as Microsoft, Stanford’s design school and Scripps Networks Interactive. If this wasn’t enough, the UXPA international conference is also a great place to network and learn best practices from the best professionals out there, and have a good and interesting time. Read all about it and check out the entire program here. And share your experience with us! We recommend you check out the courses on the “Tools & Techniques” track, which include topics such as “UX and Agile: Making a Great Experience”, “Adapting to Responsive Design” and a wearables workshop that comes in especially handy now the Apple watch is out!